A FOUNDATION TO CELEBRATE THE LIFE OF MAX AND TO CONTINUE HIS ACTS OF FRIENDSHIP, SERVICE AND COMMUNITY. 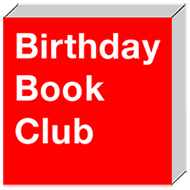 Make a child’s birthday extra special by donating to the Birthday Book Club and in doing so you will also help to update in a local school library book collection. Update your local school’s library as well as make a child’s birthday extra special by donating to the “Birthday Book Club”. Here’s how it works: the money you donate goes toward purchasing a book, your child will go to the library at a special time around his/her birthday month (starting in September of each school year) and choose one new book to be dedicated to him/her. A bookplate thanking your child will appear inside the book and your child will take home a Birthday Book Club bookmark and special birthday pencil. Below is an example of how Max’s elementary school, Farmingville Elementary School, organized their fundraiser. For more details on how to get this program started for your school, visit: www.titlewish.com. 1. Visit www.titlewish.com and set up an account for your school. 2. Send the new titlewish link to everyone so they can go to the link and donate. 4. PRINT a copy of your receipt and store it in safe place. This is your only proof that you have donated! 5. FORWARD the email to your school librarian with the NAMES, BIRTHDAYS, and GRADES AS OF SEPTEMBER (of the current school year) for each child you are honoring. NOW LET’S PLAY AND MAKE A DIFFERENCE! © 2017 Max Michael Rosenfield Foundation. All Rights Reserved.